Auto Repair: What’s That Noise? What’s That Noise Coming From My Car? Well not to worry, because the mechanics at Shannon Family Automotive can find the reason for “the noise,” and are happy to repair it for you. But first, we wanted to give you a rundown of all the possible noises you could hear coming from your vehicle, so as to educate yourself on whether your issue is dire, or if it’s a quick fix. Persistent Squeaking In The Engine – When you start your car it screeches over and over again, you can almost hear it in a pattern. This noise is generally a belt , like a serpentine belt or timing belt that needs to be replaced, and while it is a simple automotive repair, if it is not addressed, it could throw the whole engine making it useless. A” thudding sound,” when you brake – while you’re breaking and hear squeals as you come to a stop, it’s easy to know that you might need new brake pads. However a thudding sound and squeals as you are driving and begin to barely break means you need to see an auto mechanic about getting new rotors, as they are beginning to break down and are wobbling. This is dangerous and should be addressed. 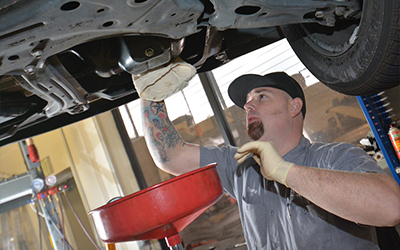 Stay tuned to our next blog on even more sounds your car makes when it is in need of auto repair.